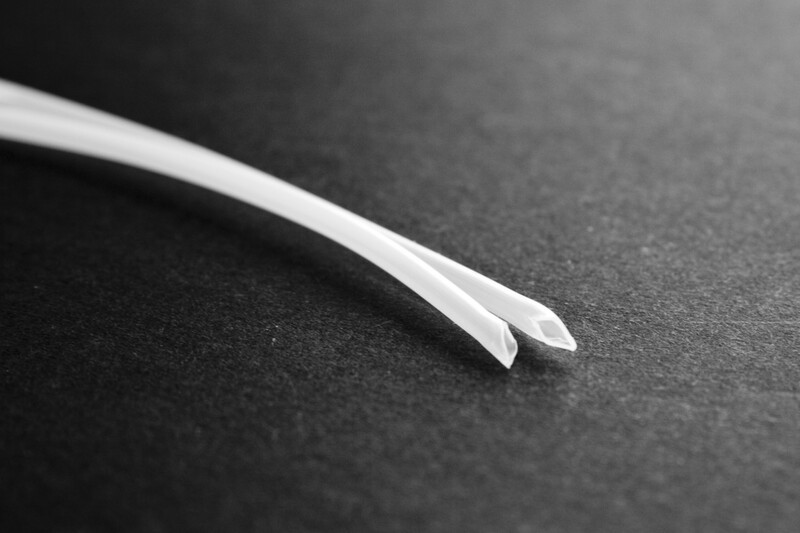 The unique properties of PTFE allow this tubing to solve problems possible with no other material. Compared with similar fluoropolymers, it normally has the best performance. It’s temperature range of -70°C to +250°C opens up PTFE tubing to many applications most other polymers can’t withstand. Various Pack Sizes. Order in multiples of 1mtrs up to the next pack size of 5mtrs to receive a continuous length. Polytetrafluoroethylene sleeving is used principally where very high operating temperature is required or where severe contamination from fluids may occur. PTFE benefits from a very low coefficient of friction and high dielectric strength, excellent chemical resistance to most acids, alkalis and petroleum products. PTFE tube, sometimes referred to as Teflon tubing, has the best chemical resistance of all known polymers. It’s temperature range of -70°C to +250°C opens up PTFE tubing to many applications most other polymers can’t withstand. The electrical insulation properties of PTFE tubing are superb making it an ideal choice for electrical sleeving. Available as plain cut sleeves, continuous sleeving and printed markers.